Here you can find anything from personal stories about us to our latest work. We hope you find something that encourages you or just gives you a laugh. Either way, we're glad you're here. When we meet new people, we usually tell them about our photography business. It’s a massive part of our lives, and something we like to share. Because of volunteering at church, meeting new clients, and in our day jobs, we meet TONS of people. They usually ask us two questions – how long have y’all been doing photography? And how did you get started? Katie LOVES to answer these questions! Because we get these questions so often, we figured it would be something some of our faithful followers would like to know. The stories of how we got into photography are incredibly different. Katie was the girl who had a point-and-shoot camera in her hand for YEARS. Since before high school she was walking around taking pictures of just about everything (much to the joy of her parents and friends). When she hit high school, her graphic communications teacher let her borrow her first “real camera” (a Nikon DSLR) one weekend and her love of photography went into overdrive. Ever since that point, she’s loved the idea of capturing special moments and a person’s personality on camera. In high school, she continued her love of photography by taking pictures of friends and family in her spare time, but she also took several photography classes for her graphic design degree in college at Anderson University. This is where her knowledge started to catch up with her passion. Those classes required her to use film cameras and even develop the photos in a dark room. After more and more family members saw her work, she started expanding her horizons and taking seniors portraits, family photos, and eventually her first wedding in college. This lasted all throughout college – and eventually it hatched into the business it is today after years of learning and immersing herself in photography education, specifically in the wedding industry. Now for Mitchel’s side of the story. That’s about it. Wanting to make his fiance happy, of course he decided to tag along on some shoots (Mostly carrying equipment. This is how he got the nickname “pack mule”). When Katie started booking weddings, she needed a second shooter, and why not use the person already there? Mitchel did have experience with videography after taking a few classes for his college major, and he enjoyed tinkering with cameras. That’s how we got where we are. We’ve upgraded our equipment, learned a lot through investing in education, and spent thousands of miles in the car since the beginning, and it’s been a fantastic journey that we wouldn’t trade for anything! We just love getting to meet and invest in couples and families, while using our marriage to pour into others! 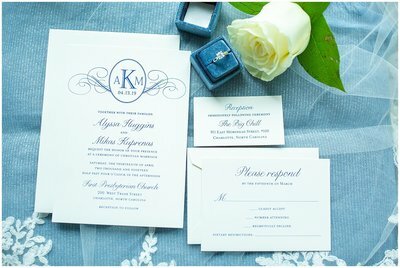 To view Katie Jaynes Photography Weddings, click here. « Marriage Monday: Date Box!